Hab1.com - Space Camp Black Friday Deal! 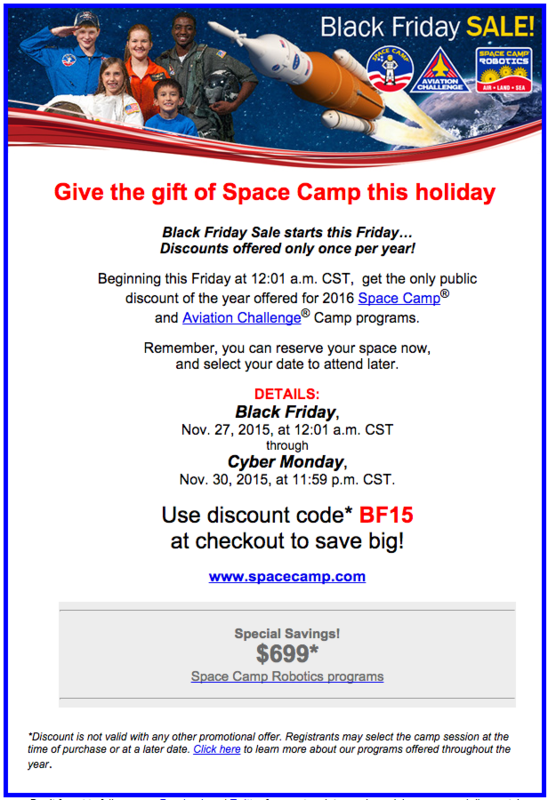 Space Camp Black Friday Deal! If you’re going to wake up early to head out and camp in line somewhere well, before you do, be sure to check out the annual Space Camp Black Friday discount on camp programs!